- The Irish claddagh - hands cradling a crowned heart - is an age-old symbol of love, friendship, and fidelity. For those whose hearts yearn for the Emerald Isle, this lovely pair of sterling silver earrings helps forge a connection that defies both time and distance. Earrings measure 3/8" tall. The Claddagh has become an enduring symbol of affection. The heart in the center of the design represents love, the hands that surround it represent friendship, and the crown at the top (if present) is symbolic of fidelity. 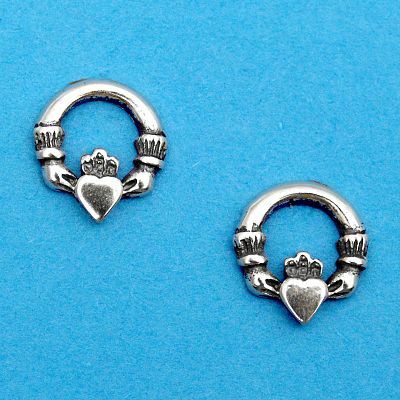 Do you have any other questions about our Silver Tiny Claddagh Earrings?